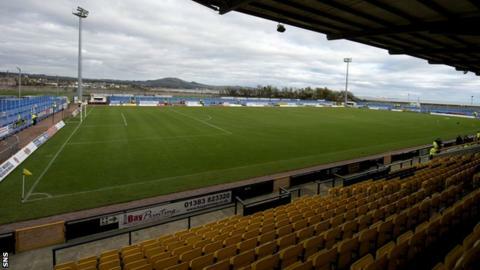 East Fife have apologised for what they describe as "disgusting, rude and sexist" chants by fans towards East Stirlingshire's female physiotherapist. It follows Saturday's 1-0 defeat for the Fifers at Ochilview Park. "The behaviour of a number of East Fife fans was deplorable and an embarrassment to East Fife FC," said a statement on the club website. "The chanting and singing by that group of supporters was disgusting, rude and sexist." East Fife said they would on Monday apologise to their League Two opponents "and, more especially, to the lady physiotherapist for the abuse and chanting she was subjected to". "The fans who acted in such a disgusting manner should consider whether they wish to return to Bayview in future as the club cannot be expected to tolerate this behaviour again," they said. "The abuse the stewards and match officials were given during and after the match was also considered unacceptable. "We are a family club with ladies and child supporters, as are East Stirlingshire FC. They should not have been exposed to this type of language and behaviour."